SweetFrog Frozen Yogurt will open a new 1,275 SF store in Georgetown’s Magnolia Center. The SweetFrog concept is to provide a bright, positive, family-friendly environment where customers can create a dessert their way – at a modest price point. Customers create their own combination of soft-serve frozen yogurt and top it off with any toppings from the toppings bar. Founded in 2009, SweetFrog now has over 100 stores operating in over 15 states, and 1 international location in South Korea. For more information, visit www.sweetfrog.com. Magnolia Center is located directly off I-75 at Exit 126 in front of Lowes on Connector Road. Chad Voelkert of NAI Isaac Commercial Properties, worked with the Landlord to secure the lease. Keithshire Place welcomes Freedom Tours to the center. 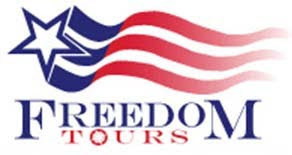 Freedom Tours is a local tour operator specializing in organizing travel opportunities for Kentucky schools and groups. The touring company will be located in Suite 118 and will open in August. For more information on the new service, visit www.freedomtoursonline.com. Keithshire Place is a 105,792 SF mixed use neighborhood shopping center off Clays Mill Road on the southwest side of Lexington approximately 1½ miles from Man O’ War Blvd. Al Isaac of NAI Isaac facilitated the lease. Richmond, KY — Regency Finance will open its new location in Richmond in the Madison Trace Shopping Center. The center is located on Atwood Drive just off the Eastern Bypass across from Kohl’s. With 63 Locations throughout Pennsylvania, Ohio, Kentucky and Tennessee, Regency Finance will offer first class consumer finance services. Visit www.regencyfinance.com for more information. Chad Voelkert of NAI Isaac Commercial Properties, worked with the Landlord and the Tenant to secure the lease. Don Jacobs Imports will locate its marketing department in Suite 201 of the Regency Office Court, located at 2201 Regency Road. Regency Office Court is in South Lexington just off Nicholasville Road on Regency Road at Lowry Lane. Paul Ray Smith and Jim Holbrook of NAI Isaac Commercial Properties represented the Landlord, The Rouse Companies, LLC, in the transaction.